Merry Pet cat washroom allows you to conceal your cat’s litter box with a modern neat design that blends with your house décor. The best benefit of hiding the litter box is containing the litter mess from going out of the box area. 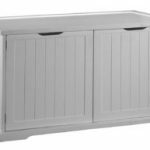 If used as a cat washroom you can place the unit in your bathroom or laundry room and the furniture will give you useful shelf space to place items. Additionally, the side features a stainless steel towel bar. 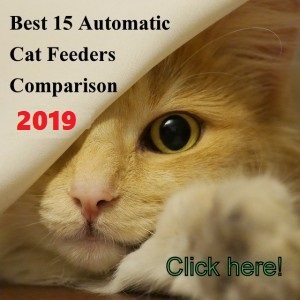 This unit also could be a nice pet-house if you want your cat to sleep in your bedroom, so your pet can enjoy a concealed beautiful sleeping area. 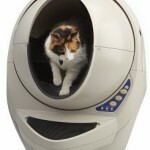 Cats love to sleep in hiding places so this unit will fit that need as well. 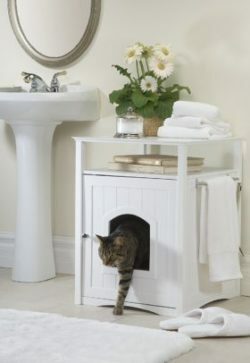 Merry Pet washroom features a door that opens wide so it’s easy to clean if used for the litter box. Interior measures 18.5″H x 16″W x 18.5″D. 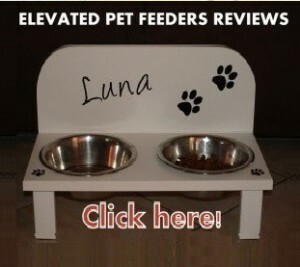 Fits a large litter pan up to 16″W x 18.5″D. External dimensions: 20.5W x 19.1D x 25H in. Door dimensions: 7W x 8H in. Top shelf weight capacity of 50lbs. 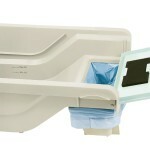 The unit features a door that you can open wide to put the litter box inside. The door shuts easily due to the magnet that keeps the door shut. The front opening allows your cat to access the litter box. 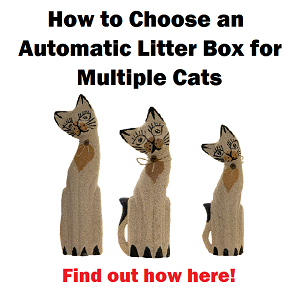 When it’s time to clean, simply open the door and clean the litter box. The side stainless steel bar can be used for placing a small towel, hanging the scooper or anything else. You can place this bar on either side as well. There is a shelf on top that allows you to place any item you need. 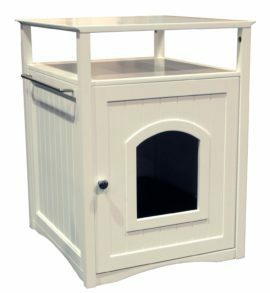 Merry Products cat washroom & pet house comes in panels that need to be assembled so you will need a Phillips head screwdriver. The package comes with 6 main panels, 8 small bags containing the hardware to assemble the cat washroom and the stainless steel towel rack. All the panels are labeled; A, B, C, D, etc., same with the hardware. The instructions come in the box. Check the illustration of the assembling here. When screwing the panels you need to be careful because they are not made from real wood, they are crafted from fir wood, similar to plywood. 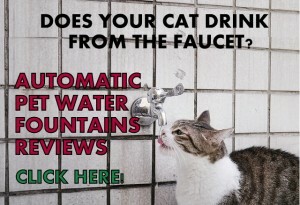 The panels are not waterproof and must be treated before assembling to avoid future problems, such as breaks of the bottom or sides in case your cat has “accidents”. 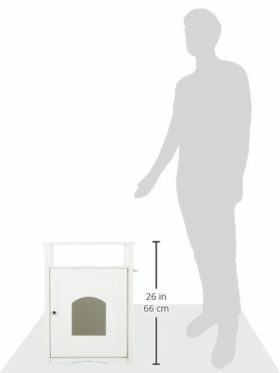 Merry Pet cat washroom is not that tall, you can see in the following image the proportion of this cat washroom so you have an idea how will look in your house. 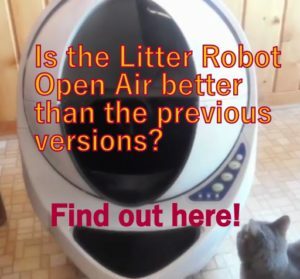 It allows you to use the litter box’s area in a smart way. 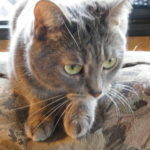 It doesn’t cover much of the odors, you need to keep the litter box clean. The instructions lack the narrative to accompany the step by step pictures. The unit is not that stable once assembled. If you try to move the furniture from the top the screws may come out. If your cat is a digger the opening will still let litter out of the furniture. Since the cat washroom is made from plywood you must treat the inside of the panels before assembling and also use a high wall litter box to avoid urine going into the interior of the unit. You can also buy a waterproofing spray and spray all the inside of the panels before assembling. If you are not handy, try to ask somebody to help you to assemble the unit, it’s faster and easier with two people. Be really careful if you use a powered drill. The panels are thin and not strong and could crack if not doing it right. 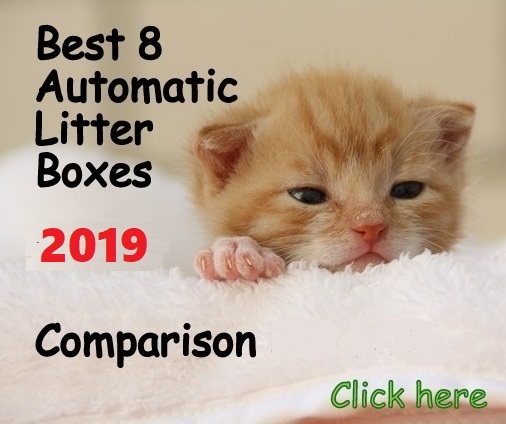 Before deciding what litter box to buy to accompany this unit, get the cat washroom first so you can see in person what will fit perfectly in it. If you buy a high wall litter box make sure the entry is low because if the entry is high your cat won’t have enough opening to enter the unit. This cat washroom looks really nice if you place flowers on top and books on the shelf. A good idea is hanging a charcoal bamboo deodorizer on the towel rack. To make the connections more stable you can use gorilla glue on the cap screws. Merry Pet Cat Washroom looks nice as the picture but not as tall as you would think. Most likely you won’t want to use the rack to put a towel on it unless you don’t mind to lean over to reach it. This piece of furniture doesn’t have human grade quality but it serves its purpose which is concealing in a nice way the cat’s litter box for a reasonable price. 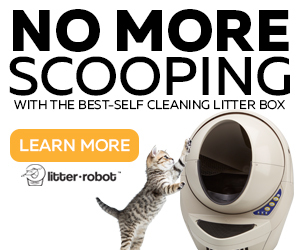 The average customer satisfaction of this unit is 72% showing satisfaction and 28% showing dissatisfaction when using it to conceal the cat’s litter box.